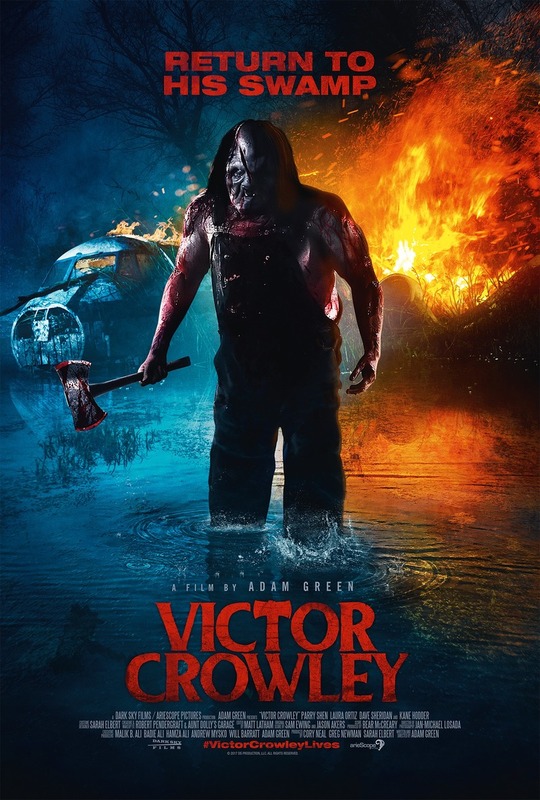 Victor Crowley DVD and Blu-ray release date was set for February 6, 2018 and available on Digital HD from Amazon Video and iTunes on February 6, 2018. Victor Crowley, the third follow-up to independent horror hit Hatchet, follows a hatchet wielding slasher who is supernaturally bound to the woods he roams. Andrew Yong, who survived the events of the first movie, finds himself the target of the vicious Victor Crowley once again after he has been accidentally resurrected. This movie full of blood and gore does not keep many human characters alive for long. More often than not, they find themselves the victims of this brutal swamp lurking menace.